Michigan married couples have a lot to consider when planning how to claim their spousal social security benefits. The best social security insurance plans consider everything, including income history, age, and taxes. 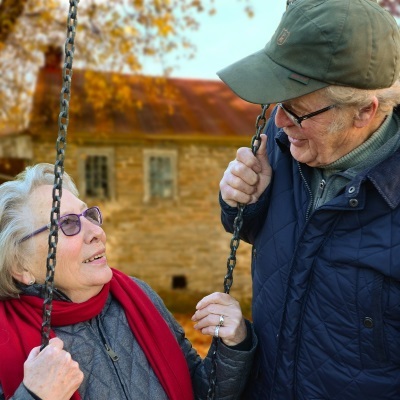 If you are trying to plan your social security claim, you’re probably asking, “How old do I need to be?” But this question overlooks some important considerations, especially for spouses. If you are, or have been married, you will need to consider a lot more than age to make the most of your benefits. Michigan married couples have no fewer than 8,000 different choices when it comes to claiming social security benefits. Even if your spouse has never contributed to SSI by working outside the home, he or she is entitled to one half of your benefit, starting at age 62. Eligibility for SSI spousal benefits depends on whether the primary wage earner has enough of a contributing income history to qualify. Once one spouse qualifies, they both can claim benefits. The higher-earning spouse can file his or her benefit at full retirement age and suspend it, letting the benefit grow presumably to age 70. The other spouse can then claim a spousal benefit—half of the filer’s benefit—at that time. When reaching full retirement age, the spouse can file for his or her own worker benefit if it’s bigger than the spousal benefit. This can result in a higher benefit over all, while still maximizing both spouses’ earning potential. If you are only receiving social security income, you don’t have much to worry about when it comes to tax season. But if you or your spouse are also receiving a pension or 401(k) distribution, you could face a substantial tax consequence. Some financial advisers recommended holding off on withdrawing from “tax-deferred” retirement accounts as long as possible. But James Mahaney, Vice President of Strategic Initiatives with Prudential Financial, says that might not be the wisest plan. By working with an experienced Michigan Social Security Lawyer and a financial planner, you and your spouse can make a plan that will make the most of all your retirement accounts – 401(k)s, pensions, IRAs, and of course, Social Security. Don’t get hit with unexpected tax consequences or early age penalties. Talk to Michigan Social Security Lawyer William Crawforth today about your social security retirement plans.